In just another trip, Tutubi went on a planned trip, not a backpacking one since he has a car and a driver, to San Mateo town in Isabela for a work assignment and made stops to various attractions and restaurants along the way, mostly unplanned based mostly on Tutubi's scant knowledge of the place since it's his first time to visit Nueva Vizcaya and Isabela provinces of Cagayan Valley. Pictures and funny street signs coming up with a mostly unplanned tour of Cagayan Valley! im looking forward to those funny street signs. ive never been to this side of the philippines. This is exciting. Looking forward to your succeeding post. I love going on roadtrips... especially if its unplanned. Ako din can't wait for the funny signs and photos. I'd been to Solano several times in the mid-1990's. That was when I was still on film photography. Unfortunately, the film use prohibited me to take photos (or at all to bring my camera) in most of my road trips. It feels great to travel and discover the beauty of nature. hey tutubi, welcome to my home city of cabanatuan. 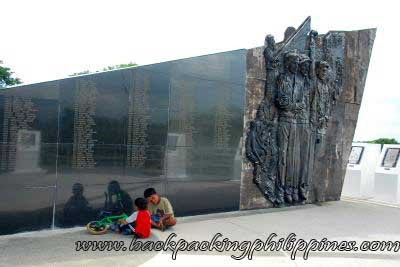 your second pic was taken on concentration camp in pangatian, cabanatuan city and just adjacent to the fil-am pangatian shrine. i am glad you brought your own vehicle because tricycles here in cabanatuan can be quite notorious. have a safe trip tutubi. 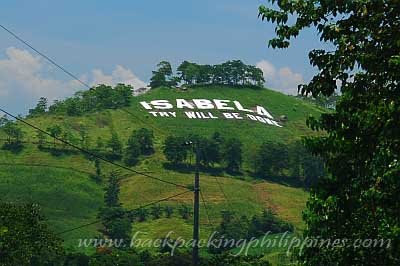 Naku, Nueva Vizcaya has a lot to offer din from caves, mountains and food. And that mountain side road is very scenic as well. Abangan namin post mo dito. How fun! Can't wait to read about more!! I love funny road signs! btw, can anybody give me a recipe of the famous isabela's longanisa?